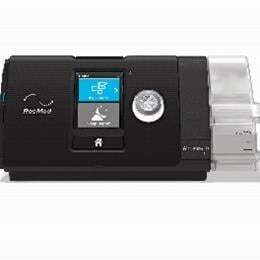 The AirSense™ 10 CPAP is a basic fixed-pressure CPAP machine that is designed to make therapy easy. It features an integrated humidifier and can be used with the ClimateLineAir™ heated tube for the optimal temperature and humidity delivered to your mask. Its user-friendly controls, intuitive interface and color LCD screen make it simple to navigate menus and customize comfort settings.